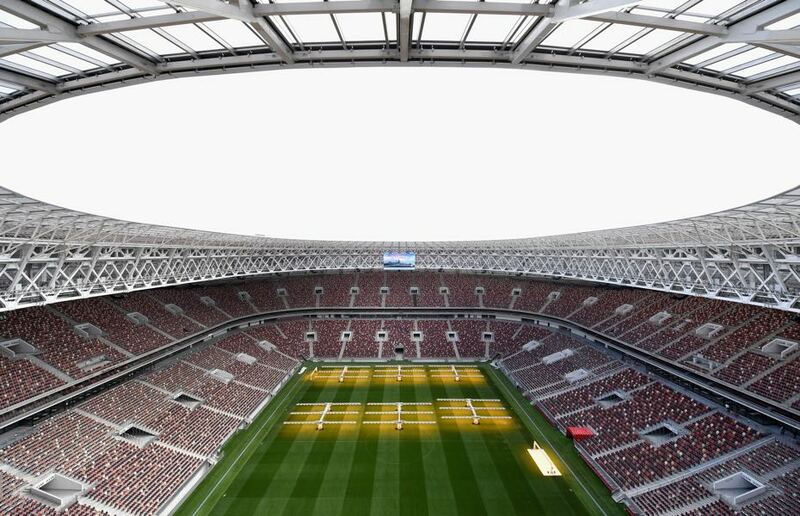 Moscow will play host to Croatia vs England with the winner playing France on Sunday to decide who will be World Champions. For Zlatko Dalic’s men this is Croatia’s first semi-final for twenty years, while Gareth Southgate leads his England side into their first last-four fixture since Italia ’90. Croatia will be hoping they can go one match further than the heroes of France ’98. In their first World Cup as an independent nation the Vatreni reached the semi-final, beaten by hosts and eventual champions France. Gruelling fixtures against Denmark and Russia saw Dalic’s players go the full distance – twice, advancing both times thanks to some exceptionally well taken penalties. As such, there are a number of injury concerns – Danijel Subasic and Ivan Strinic both picked up injuries in the quarter-final against Russia. 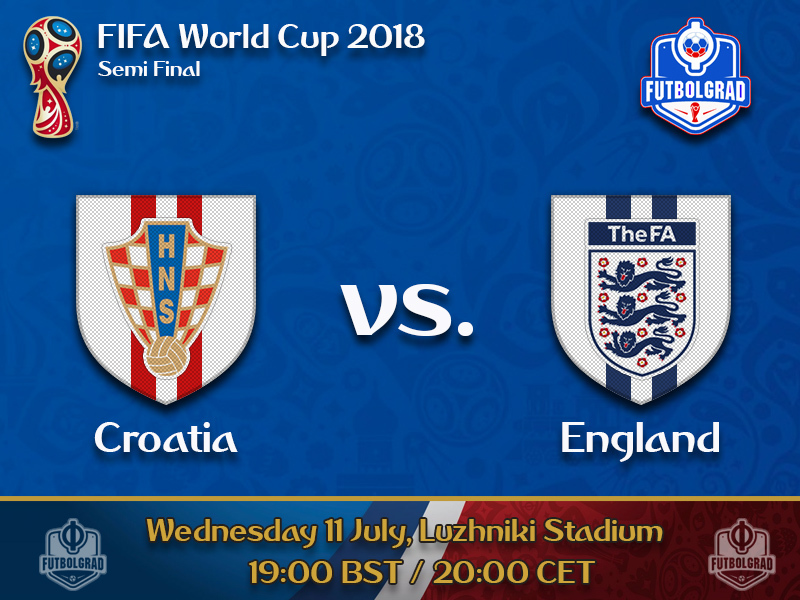 Dalic remained upbeat during Tuesday’s press conference, but with Croatia having played more minutes than opponents England, their stamina could be a concern during the latter stages of this fixture. However, one man fully fit and ready to go is Ante Rebic – he should provide one of the main threats for the Croatian’s on Wednesday evening. Life has come full circle for England’s manager. Gareth Southgate was on the losing side of a semi-final back in Euro ’96. Now – after two decades – he will walk his Three Lions onto the pitch in Moscow as millions back home dream of the ultimate outcome. Sweden were easily brushed aside in the quarter final thanks to a magnificent performance by Harry McGuire and Jordan Pickford. 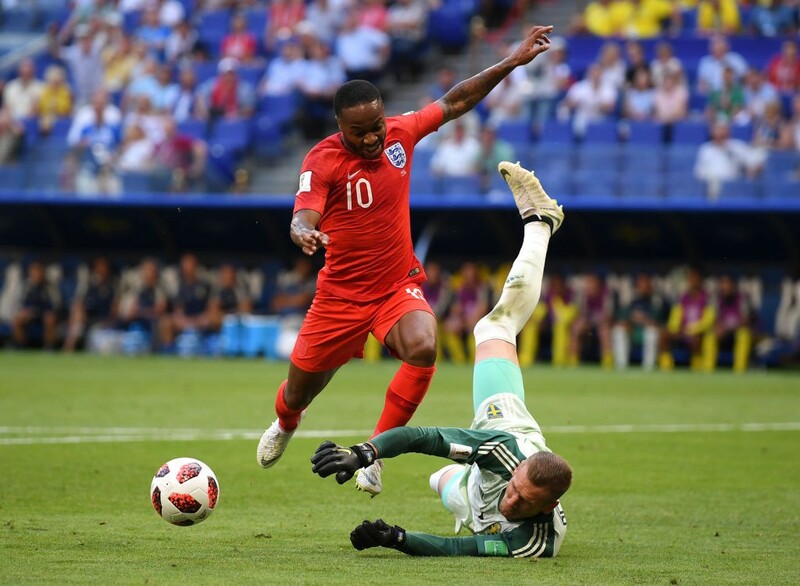 With England able to boast an embarrassment of riches up front it is worth keeping an eye on their backline – game saving or goal scoring, it has been able to do both during this tournament. Tuesday saw England train behind closed doors, afterwards reporting the entire 23-man squad was fit for the game versus Croatia. Something their opponents could only wish for after two back-to-back fixtures going the entire distance. The 32-year-old midfielder has been the powerhouse of Croatia’s run to the semi-final. With a goal against Nigeria and Argentina during the group stage, the Real Madrid star then went on to provide an assist during the quarter final matchup versus Russia. He will be a key danger that England must counter should they wish to reach the final on Sunday. Modric’s key strength is his ability to drive at opposition defences. He can also unpick entire backlines with a pinpoint pass, be that via a long ball or linking up with those around him to bounce numerous short passes around like a pinball machine. The 23-year-old has been vilified by certain sections of the media in England, from discussions around his tattoos to what he eats for breakfast – very few players currently receive the treatment reserved for the Manchester City star. His portrayal in the press is made all the more bizarre by the fact he has worked tirelessly during this competition. Drifting out wide, Sterling has the pace and skill to dance past opponents – he also has the ability to cut inside and either unleash a wicked shot or set up a teammate. This fixture could be the one whereby the Manchester City player raises a preverbal ‘two-fingers’ up to those who wish to focus on his personal life while bashing his professional one. Croatia scored two headers in their last match against Russia – only one of their previous 29 World Cup goals was scored via a header. England have scored 11 goals at this year’s World Cup, a joint-record along with the 11 they scored in their victorious 1966 tournament. England have not beaten two European nations in a single World Cup since 1982, when they beat Czechoslovakia and France.